Lake Farm offers all year round New Forest holidays in one of five luxury self catering log cabins, situated in a delightful 60 acre rural setting and only a short stroll away from our 3 acre lake. 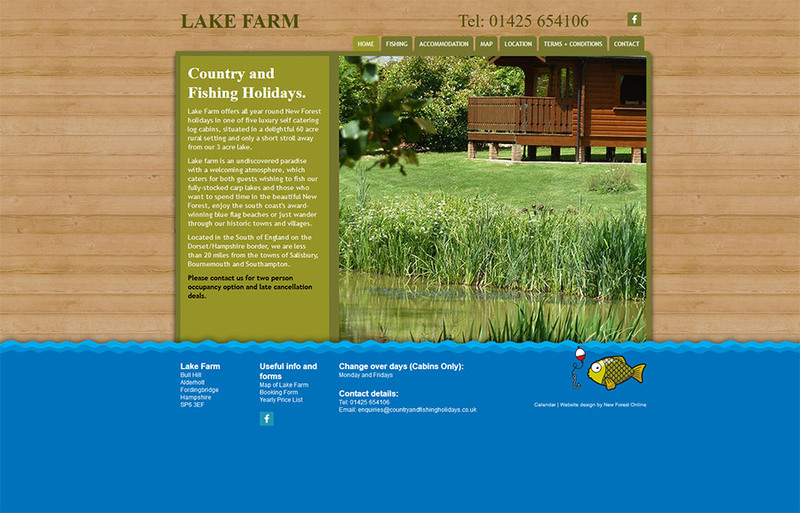 Lake farm is an undiscovered paradise with a welcoming atmosphere, which caters for both guests wishing to fish our fully-stocked carp lakes and those who want to spend time in the beautiful New Forest, enjoy the south coast’s award-winning blue flag beaches or just wander through our historic towns and villages. Located in the South of England on the Dorset/Hampshire border, we are less than 20 miles from the towns of Salisbury, Bournemouth and Southampton.